Once again, the Menuhin Competition has received a world-record-breaking number of applications. The competition, set to take place at London's Royal Academy of Music April 7-17, 2016, reported receiving 307 entries this year from young violinists in more than 40 countries, surpassing its 2014 record of 275 applications from 27 countries when the competition was held in Austin, Texas. Of those, 44 competitors will be chosen by the end of November to participate. Candidates will compete in two divisions, the senior (ages 16-21) and junior (under 16) sections, for a number of prizes, top among them being Senior First Prize, £10,000 and a one-year loan of a golden-period Stradivari from J&A Beare; and the Junior First Prize, £5,000 and a one-year loan of a fine old Italian violin by Florian Leonhard Fine Violins. 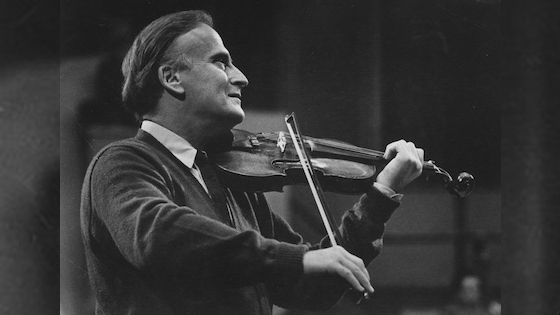 The competition will take place in the midst of a 11-day festival that celebrates the centenary of the birth of Yehudi Menuhin, who helped found the competition and gave it his name. The highest number of 2016 Menuhin Competition applicants from one country were from the United States, with 28 percent. This year's entrants also included the competition's highest-ever number of applicants from the UK, with 28 entrants (9 percent). First-time entries came from nine countries (including the first-ever entry from an African country): Cyprus, Estonia, Georgia, Moldova, Mongolia, Portugal, Slovakia, South Africa and Turkey. The youngest entrant is age 9, from Taiwan. Nearly 40 percent of entrants are from 28 European countries; with the remainder from North America, Asia, Africa and Australia. Applicants also wrote responses, among them this from a British female applicant, about why she likes the violin: "The violin has more places to explore than the entire universe has."